Flight News & Airline Gossip from around the World, just small bits of information that we feel you might be interested in. The main French pilots union, SNPL, is planning industrial action in protest against reforms by the French government which would no longer allow pilots to have their own separate representation in negotiations for collective working agreements. Pilots are also concerned about cuts to their pensions. Chairman and CEO Gary Kelly told a chamber of commerce event in Dallas that Southwest had no plans to abandon the MAX and intended to buy “hundreds” more. An unruly passenger jumped out of an American Airlines plane after displaying bizarre behavior during a flight. “He landed on the ground approximately 10 feet below, sustaining minor injuries. Workers at the airport stopped the man and he was taken into custody by Phoenix Police officers without incident,” Phoenix Police said in a statement. Concerns for Thomas Cook’s financial situation have heightened after it told shareholders it might have been regularly in breach of its own borrowing limits. In a stock exchange announcement on Friday, it said the Board has received external advice that its current interpretation of articles relating to borrowing limits might have ‘in certain periods in the past’ led the company ‘inadvertently’ permit a level of borrowings ‘in excess of the limit permitted’. “An implication of the possible technical breaches is that the Company would be unable to roll-over existing credit facilities for the purpose of day-to-day treasury management, as it has done in previous years,” the statement said. The issue was raised as part of Thomas Cook’s strategic review of its airline to help reduce debt. The group announced in February it was looking to sell off its airline as it struggles to cope with the impact of Brexit uncertainty, last summer’s heatwave in the UK, and changing consumer habits. Jet Airways has cancelled all of its international flights, including those between Mumbai and London. The cash-strapped airline, which once had 120 aircraft, is now believed to be operating only 14 as it struggles to pay leasing firms. It had already cancelled Manchester flights last month and has since been gradually suspending other international routes. Under the rules of India’s aviation regulator, DGCA, airlines must have a minimum fleet size of 20 aircraft before they are permitted to fly internationally. In a statement to the~Mumbai Stock Exchange late on Thursday, Jet Airways said a further 10 aircraft have been grounded due to non-payment of amounts outstanding to lessors. It is currently being controlled by a consortium of investors led by the State Bank of India (SBI) but is looking for a new investor to acquire a majority stake. According to local reports, the deadline for bids has been extended until today (Friday). Since Boeing CEO Dennis Muilenburg acknowledged the cause of two recent deadly crashes points was issues with its software, the lawsuits have been piling up from grieving families. Now a new lawsuit from shareholders could be even more damaging. The proposed class action, filed in Chicago federal court, alleges Boeing effectively defrauded shareholders by failing to disclose safety problems with the 737 Max planes. Boeing, CEO Dennis Muilenburg and CFO Gregory Smith are named as defendants. 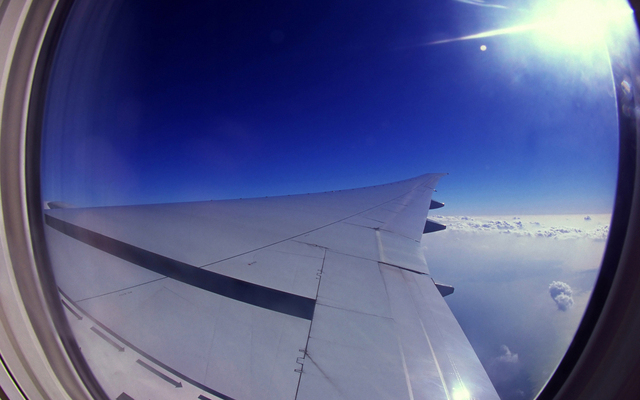 It alleges they ‘put profitability and growth ahead of airplane safety and honesty’. 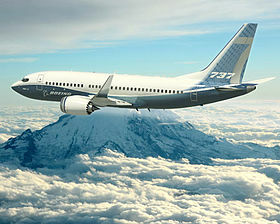 “Defendants misled investors about the sustainability of Boeing’s core operation – its Commercial Airplanes segment – by touting its growth prospects and profitability, raising guidance, and maintaining that the Boeing 737 Max was the safest airplane to fly the skies,” the lawsuit states. Boeing admitted a faulty sensor erroneoulsy triggered the anti-stall system, which pushed the planes into a dive, which in both crashes, pilots were unable to rectify. A Lion Air Max 8 plane plunged into the sea in October and an Ethiopian Airlines plane crashed shortly after takeoff in March. That led to the eventual worldwide grounding of the aircraft. Unite members at Glasgow Airport have voted in favour of a 24-hour strike after being balloted on action over pay and pensions. The union said 95% of members voted for industrial action, which will start at 4am on April 16. About 500 workers will walk out. Unite said its members will also enforce an overtime ban, beginning in mid-April and running until mid-October. The vote follows a pay offer of 1.8%, which was rejected. Management also said it plans to close the workers’ final salary pension scheme. Workers at Aberdeen Airport are also considering industrial action. Scottish Passenger Agents’ Association president Ken McLeod said strike action at Glasgow and the threat of action at Aberdeen ‘will just drive those passengers to Edinburgh who will happily soak up the extra business’. “The ballot by Glasgow Airport staff in favour of taking strike action, along with an overtime ban between May and October, isn’t good news for the travel trade, or the travelling public,” McLeod said. In a bid to outmaneuver Virgin Atlantic, whose new Upper Class will be revealed shortly, British Airways has launched what it calls its ‘Club Suite’ for both the A350 and Boeing 777. Delivery of the first A350 is expected in July. 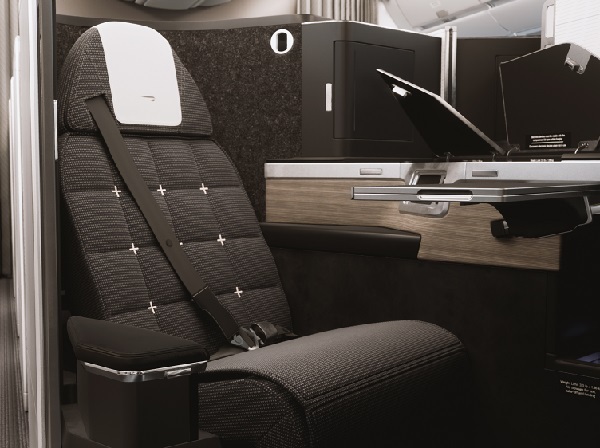 It follows news of BA’s new look for its First Class cabins being introduced from 31 March, also as part of the £6.5bn revamp of customer service under way by the airline. The newly-branded Club Suite (below) will have direct-aisle access, a door for greater privacy and flat-bed seats in a 1x2x1 configuration. Other features include 40% more storage, PC/USB power points, wi-fi and 18.5in inflight entertainment screens. BA says its A350s will also promote “a feeling of well-being, space and calm” thanks to reduced noise levels, high ceilings and time-sensitive lighting plus higher levels of humidity and refreshed air with cabin pressure equivalent to an altitude of 6,000ft. Along with the new 56-seat Club World cabin, the A350 will also feature the latest World Traveller Plus cabin, also with 56 seats, with new furnishings, enhanced service and improved dining. The A350 will begin long-haul operations from 1 October as another three A350s join the fleet and two Boeing B777 aircraft are retrofitted with the new cabin. The Club Suite: Direct-aisle access, a door for greater privacy and flat-bed seats.